PSS makes editing descriptions very easy. We provide you with the ability to change descriptions directly out of the UI. 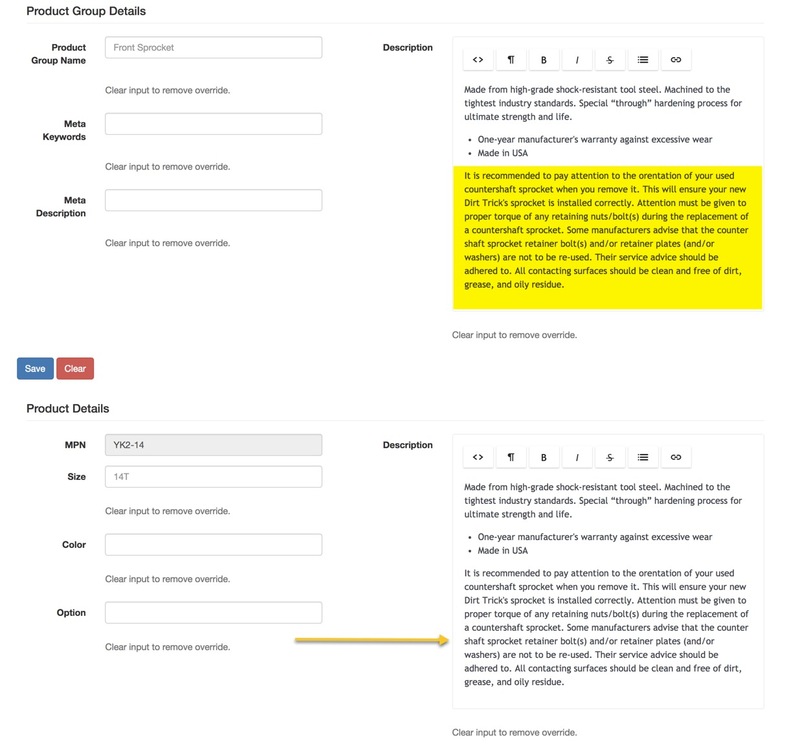 Additionally, we allow you to not only override descriptions on the Product Level but, the Product Group Level as well. 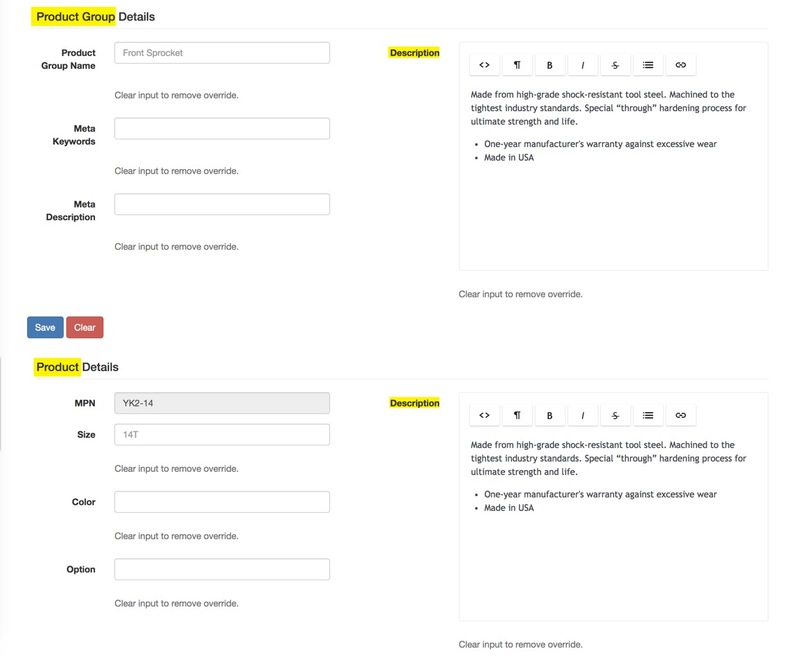 This is extremely helpful for when you are working with hard parts and you want to edit the descriptions of like products all at once. Note: There is not an option for description override by CSV file. First you will want to get into the Override Management Center of an MPN. Scroll down below the image to see the Product Group and Product Details. First you will want to determine if you desire to override just a single MPN or all products within the group. For this case there are more than ten other Front Sprockets in the group; they are all alike. Therefore we are going to override the description of the entire group. Enter/Edit the text of the description. You can use HTML however, it is not required. Click Save. As you can see below the description that we entered for the Product Group carried over down to the Product. Furthermore, all products within this group now have the updated description which discusses installation warnings. To change the description on a single MPN you simply need to edit the description field for the Product Details. Ignore the Product Group field.